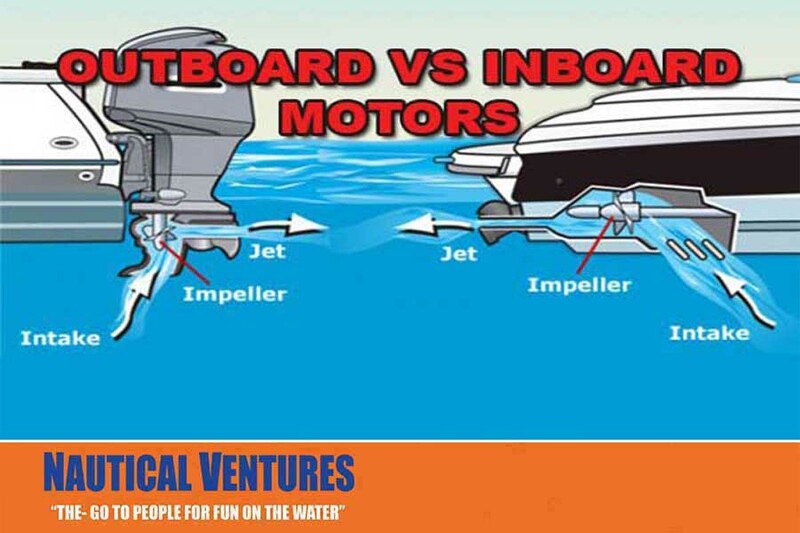 Home › Blog › Inboard Versus Outboard Motors: Which Option Is Best for You? Inboard motors are high-performance engines repurposed for marine use. 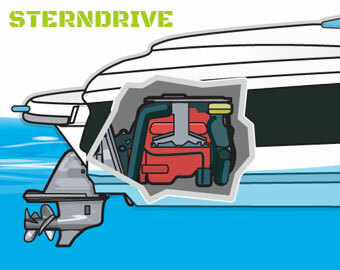 They either mount into the center of your boat (direct drive systems) or stow inside the transom (V-drive systems). In both cases, the drive train and prop are built directly into the hull. Because of their automotive background and more complex design, inboard engines offer advantages – but with a similar price tag. Inboard engines are favorites for water sports like wakeboarding and waterskiing, especially with multiple skiers, as they have better wake control, major towing power and a clear transom for tow ropes. A lower center of gravity also helps to cut through heavy ocean waves. Mercury outboard motors are fully independent motors that mount onto the exterior of the transom. Depending on your preferred setup, you may operate outboard motors either via dashboard console or with a handle connected directly to the motor. 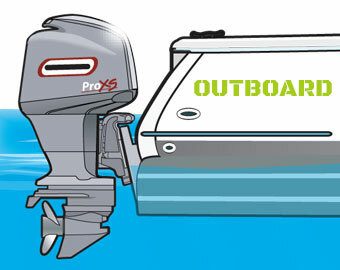 There are excellent reasons to opt for an outboard. Fishing enthusiasts, speedboat lovers, and party captains prefer outboard motors because of their quick handling, tight turn ratio, and low-speed maneuverability. Boating in shallow waters is not a problem because you can safely tilt the prop out of water anytime. Though they have a superior power to weight ratio, outboards lack the total torque to drive heavier boats. Enthusiasts get around this to an extent by adding a second motor. On today’s larger center consoles, it’s not uncommon to see three or four motors adorning their transoms. The great news is you do not need to leap into inboard or outboard adventures alone. Visit Nautical Ventures to get the motor needed for you and your boating experiences instead. Our water-loving experts give you excellent tips to help you decide. We also stock tons of Mercury outboard parts for extreme motor longevity.